Well, After some time thinking about it, it’s time to take things into my own hands and design what I want, the way I want it. Since it’s shortly after my 34th birthday I’ve realized that time is getting short and I have to forge ahead. Hence, the VariGage. I’ll change the name later but it suits it just fine for now. The prototype VariGage. Not much to it right now but the implications of a miniaturized version are great. 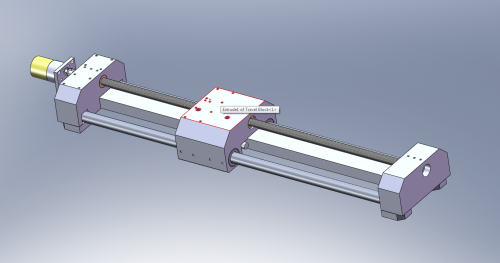 This device will allow for a multitude of gaging options with full communication between the anvils and expansibility. Gagemaker makes something quite similar however, mine differs in a number of ways in both design and use. Affordability, the average machinist should be able to afford a unit to fit in their repetoire. While it’ll be a very expensive tool, it’d be nowhere near the 12,000 bucks or so of the GageMaker device. Anvil communication. The device will communicate with the anvils allowing for future use of anvils that weren’t available upon first creation of the device. also this allows for cheaper calibration of anvils rather than the device itself. Light weight with modular display design. Previous Previous post: Three years at Rejent!